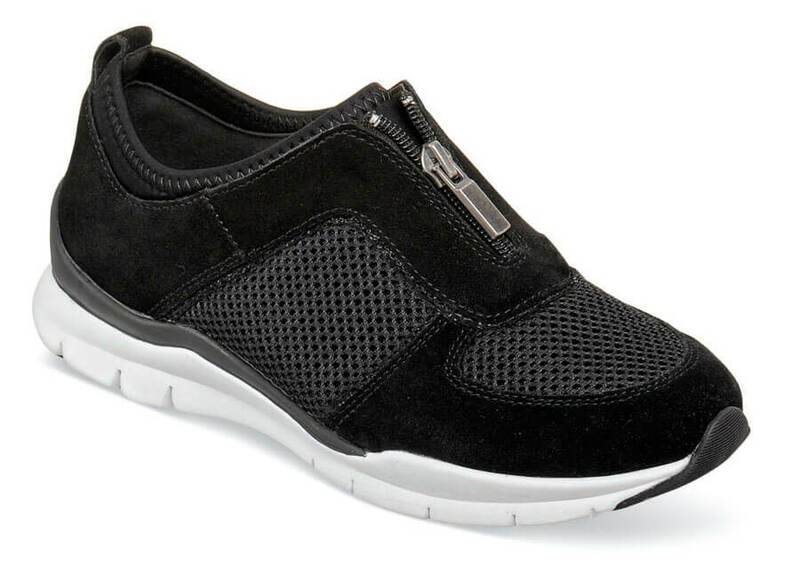 A sneaker with flair, as only Ros Hommerson can design it – the RHSport “Fly” sport shoe with eye-catching and convenient front zip has suede and mesh uppers lined with soft, stretchable fabric. 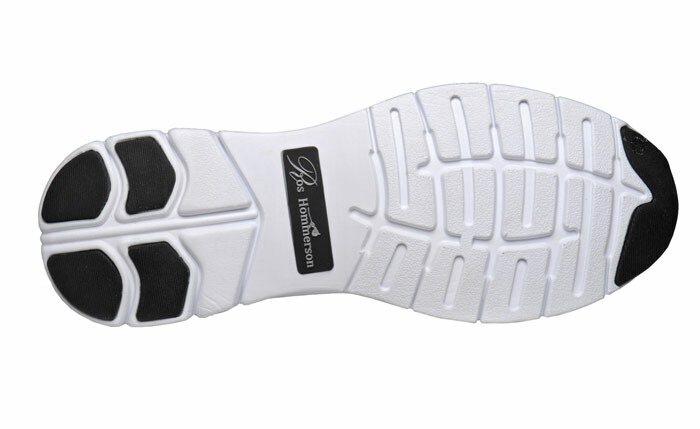 The super-lightweight polyurethane sole unit has rubber inserts at toe and heel for durability. You’ll love this shoe! Limited stock in women's 2E width in sizes indicated.